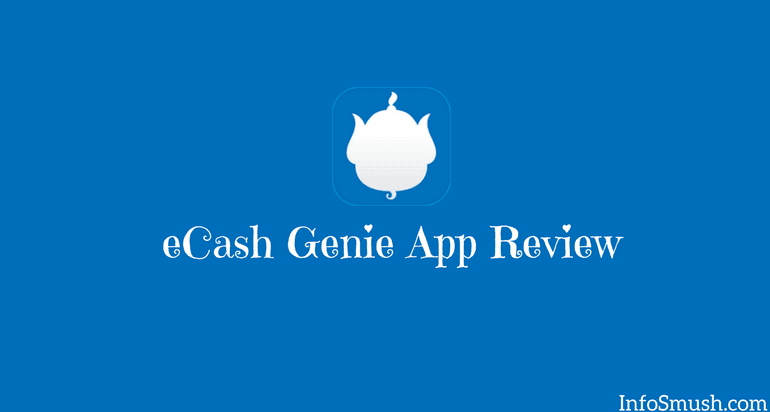 eCash Genie is one of the highest rated and trusted money-making apps available on the Play Store. eCash Genie pays you for watching videos, completing offers and even for playing games. It also has one of the best referral systems: you can earn 2,000 plus coins per referral. To find out how; read on. 2. Open the app and sign in with Google, Facebook or Sign up. 3. 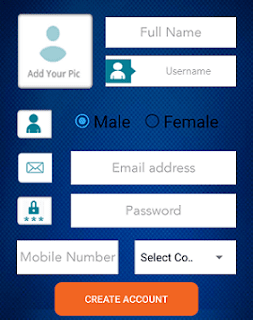 If you selected Sign up: enter your Full name, username, email address, etc and tap Create Account. If you signed in with Google or Facebook skip to step 4. 4. 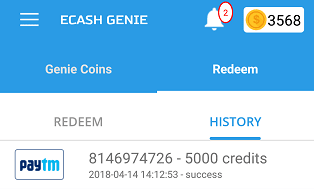 In the text box that appears (on the next screen), enter this referral code to get 200 genie coins: 182846 and hit Submit. 6. You'll get 100 coins just after you fill the short form and tap on the Save button. There are a number of ways to earn coins from the app. You can earn 20 coins every day or 24 hours just for checking in. In this box, you can find video ads and offers. Complete app download offers from over 12 offer providers to earn genie coins. You can earn by watching video ads from 6 video providers. You can view 20 videos daily. For each video, you will earn 1 genie coin. You can earn coins by completing surveys, which are provided by Pollfish and Zippyrevs. Spin 2 Win: In spin 2 win you can win up to 10 coins. You can spin after every 12 hours. Tap to Get Coin: Just tap and claim 1 coin after every 2 minutes. Lockscreen Challenge: Enable eCash Genie lock screen for 30 days to earn more rewards. But, they don't say what the reward will be. 30 Days Challenge: Just keep the eCash Genie app installed for 30 days and get 300 coins. Well, I don't know anything about this section as there are not any active bids going on lately. In this section, you can win up to thousands of coins everyday. All you have to do is enter into the contests. Each entry costs 1 Coin and you can enter after every 60 seconds. Each contest has different prizes. In the current Weekly contest, the 1st prize is 5000, 2nd prize is 2000 and the next 18 members get 1000 coins. You can earn 2,000+ coins per friend that enters your referral code. You can earn up to 10% of your friends' earnings for lifetime. But for all that, your friend must use the eCash Genie app for 10 days. 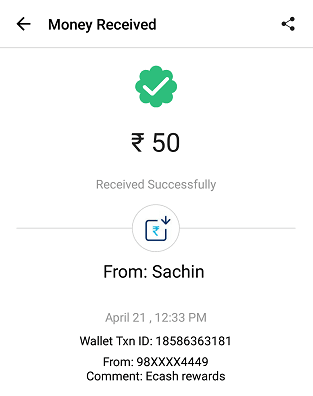 You can redeem your coins for PayPal or Paytm cash and for Amazon Gift Cards.